When in Cebu and you are looking for a Cebu City hotel that is friendly for families and provides universal accessibility to persons with disabilities, look no further than the Century Plaza Hotel. It is located along Juana Osmeña Street, Cebu City. The Century Plaza Hotel is known for its wide and very spacious rooms and very friendly staff. They also have a great location right at the heart of Cebu City. The 33 hotel rooms available at the Century Plaza Hotel is categorized into four types: Budget Room, Standard Room, Family Room, and Superior Room. Budget rooms are the cheapest hotel room options at the Century Plaza Hotel. These three rooms at the Century Plaza Hotel is equipped with a single bed only. There are 15 standard rooms at the Century Plaza Hotel equipped with twin beds. The standard rooms at the Century Plaza Hotel is so spacious. In other hotels, rooms as spacious as the standard rooms at the Century Plaza Hotel are already classified as suites. One of the hotel's standard rooms is directly next to the hotel's function room at the 3rd floor. It can be utilized as the "war room" for events. 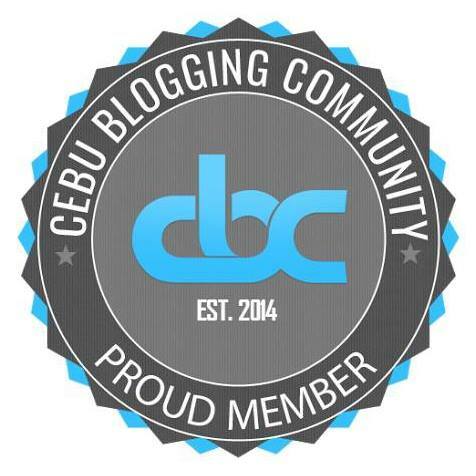 This is what the Cebu Blogging Community's volunteers did during the Cebu Blogging Summit 2.0 held last 12 December 2015. The three family rooms at the Century Plaza Hotel have three whole beds each. This room can accommodate up to six persons. That makes it truly a family room. The 12 superior rooms at the Century Plaza Hotel are equipped with twin beds. These rooms are the the premium rooms at the Century Plaza Hotel. The published rate for the single occupancy, single bed budget room at the Century Plaza Hotel is PhP 1,600 per night. The double occupancy, twin bed standard room retails for PhP 2,200 per night. The triple occupancy, triple bed family room sells at PhP 2,400 per night. The double occupancy, twin bed superior room can be had at PhP 3,000 a night. Extra bed will be charged PhP 600 each. Rates are already inclusive of government tax and complimentary breakfast at Purple Craves Cafe. Purple Craves is a wedding-themed events cafe. They are the service provider for the food and beverage section of the Century Plaza Hotel. hygienic, disposable slippers. These are made available upon request. Superior rooms are also equipped with a mini-refrigerator and a bath tub. Rooms at the Century Plaza Hotel are people-friendly. The Century Plaza Hotel also allocated five rooms that are handicapped friendly. These rooms were designed with the needs of special populations in mind. These are guests with children on strollers, senior citizens, and wheelchair users. These rooms have toilets and baths that are accessible and barrier-free built using universal design principles. These so-called "universal rooms" have lower switches, reachable outlets, lower hanging racks, grab bars in the toilets and showers, dual height lavatories, lower mirrors, deep spaces for wheelchair footrests, and handheld showers. A bathing wheelchair can be made available upon request. According to managers of the hotel, only Pillows Hotel can claim of the same accessibility in Cebu. The Century Plaza Hotel has a spacious parking area, 24 hours closed circuit television (CCTV) security cameras, a 24-hour standby generator, 24-hours elevator service, 24-hour room service, 24-hour roving security guard, laundry and pressing service, a function room, and massage service by appointment. The Century Plaza Hotel's third floor function room was the venue for the Cebu Blogging Summit 2015. The hotel was one of the platinum sponsors of the event. The function room can hold up to 100 sitting guests on a theater setting. The Cebu Blogging Summit 2.0 was a standing room only event that had more than 100 participants. The function room is also very near the stairway and the hotel's passenger elevator. Event organizers need not to worry about event participants getting lost around the hotel. The Century Plaza Hotel does not have an in-house food and beverage service. Instead, its food and beverage section is served by Purple Craves Cafe. Purple Craves Cafe is a wedding-themed events cafe and serves a full menu from breakfast, snacks, lunch, and dinner. During Saturdays, they serve a dessert buffet. You can enjoy the dessert buffet at a very affordable cost of PhP 143 per person. That already comes with bottomless iced tea. Purple Craves Cafe can also be booked to cater for functions at PhP 350 per person for a minimum of 30 persons. The Century Plaza Hotel is located at the Century Plaza Commercial Complex. The complex is along Juana Osmeña Street in Cebu City. This is a great location for a Cebu City hotel. It is right at the heart of midtown Cebu City. The complex is a stone's throw away from the party places at Mango Avenue, the historic Fuente Osmeña Circle, and Chong Hua Hospital. Restaurants and other business establishments are located within the hotel complex. There are also restaurants, malls, banks, fast food joints, souvenir shops, and other businesses that surround the hotel complex. Some of the food joints within the complex are Muvanz Pocherohan, Alejandro's Crispy Pata, and Frozen Snack Bar. It is very accessible to public transportation and is a short drive away from all the important locations in Cebu City. 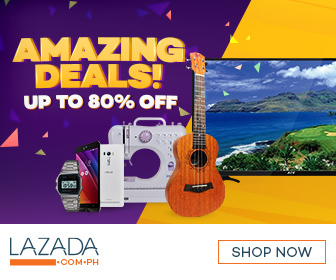 Jeepney routes that pass nearby Century Plaza Hotel are Lahug-bound and Apas-bound jeepneys (04B, 04C, 04D, 04H, 04I, 17B, 17C, 17D), jeepneys plying the Labangon to Ayala route (12L), some jeepneys plying the Mabolo to downtown Cebu City route, and jeepneys plying the Ayala to downtown Cebu City route (14D). Century Plaza Hotel may be reached through telephone numbers +63 32 412 6673 or +63 32 255 1697 or through fax numbers +63 32 255 1664 or +63 32 253 9205. You may also visit the Century Plaza Hotel website or the Avila Group of Companies website. You can also send them an email at cnturypl@mozcom.com. Next time you are in Cebu, try booking at the Century Plaza Hotel. You may then let us know about your experience in the comments section below.